Last May, a group of students from USC Thornton and the USC Kaufman School of Dance embarked on a 24 day Maymester course in Paris, exploring the cultural legacy of the city of lights and drawing inspiration from its extraordinarily-rich history of dance, music, and art. No one can offer better insight into the international study experience than our students, themselves. 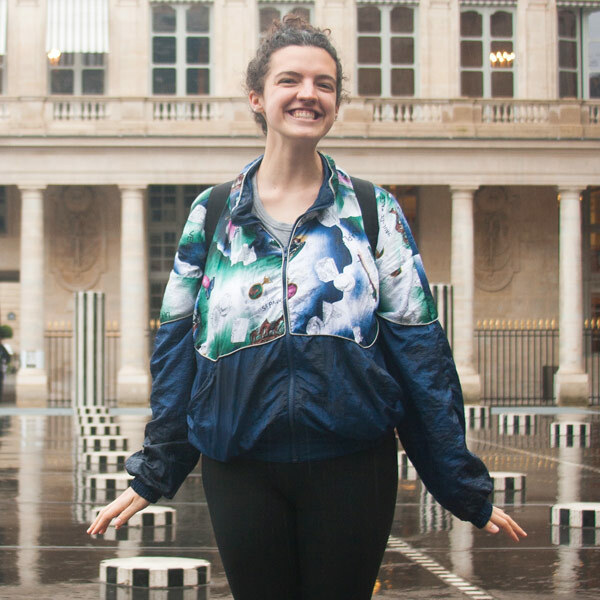 Here, Sloan Pecchia, a Thornton junior majoring in Music Industry, writes about her impressions of Paris and the opportunities for artistic collaboration that were sparked by the trip. A little over one hundred thirty miles. That was how far I walked over the three weeks that I was in Paris, France. And that’s having minimized my trip to the amount I walked–each mile was filled with museum tours, shopping, and lots of bread and ice cream. I had talked to my advisor earlier in the year about the possibility of studying abroad, knowing it would be difficult due to my major. He talked a bit about his own study abroad experience and how it was life-changing for him, and we found a way I could have that life changing experience, without leaving for an entire semester. I applied to the Paris Maymester through USC Thornton and Kaufman, and it was everything I could’ve ever wanted from studying abroad. When I was little, one of my cousins lived in Paris, and I used to dream about the day I would get to go and experience the city for myself. And when I finally did, our very first day of class didn’t feel like class at all. We walked Champs-Élysées, tried the macarons at Ladurée (which are by far the best macarons in the world), and ended up at the Eiffel Tower. Our professors wanted us to fully immerse ourselves in the culture as much as possible, and they made that possible with the curriculum. There were a few days that inspired me more than I thought they would. 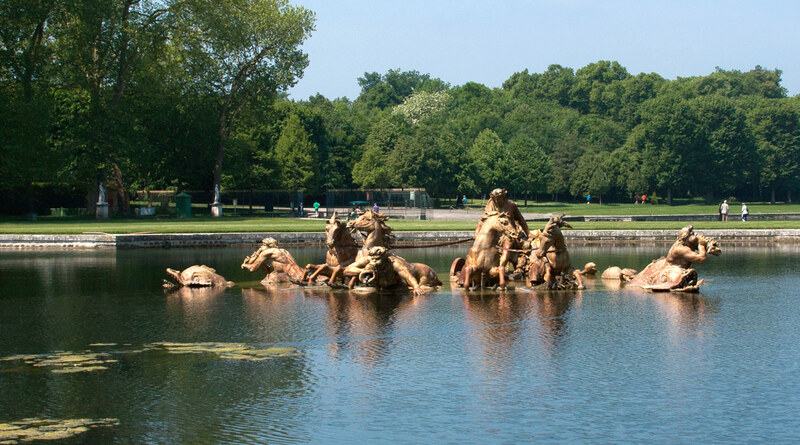 The day we visited Versailles was truly magical. The palace itself was beautiful, but once I stepped foot into the gardens I truly felt like I had been transported into a different time and space. Everything was symmetrical, green as can be, and in full bloom. I had the opportunity to rent a row boat with some fellow students. As we rowed through the canal, I just looked around and thought about how life must have been when King Louis XIV was in power. I did this often throughout the trip, placing myself back in time to experience all of the history Paris held. I was able to appreciate my own time in these places, as well as understand different perspectives. 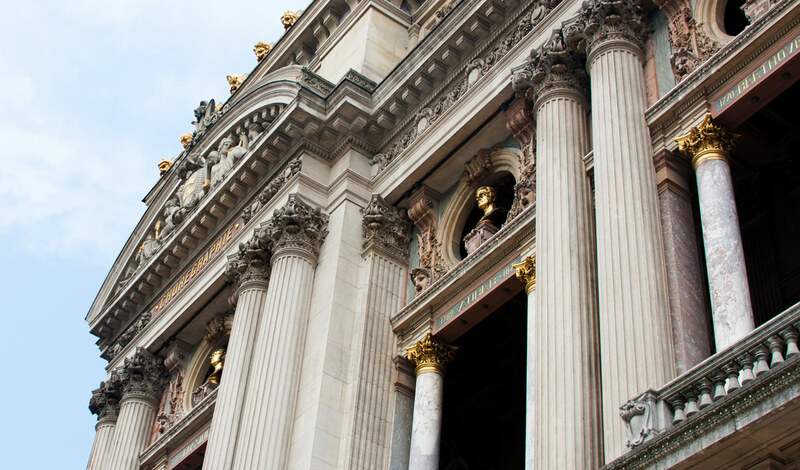 I was so inspired during our visits to the Palais Garnier; we went once for a backstage tour and then saw the ballet the following day. I am by no means a dancer, so I was at first skeptical as to how much I could relate to both the Palais Garnier and the show. But I learned that you don’t have to be a dancer to be moved by a ballet. The show that we saw was by far one of the most inspiring pieces of art I have ever seen. It was truly like no other and I was left in awe of both dancers of the Paris Opéra and my fellow students, the dancers at USC Kaufman. I didn’t realize until this trip how much musicians and dancers rely on one another. I never thought about the potential for collaboration until this trip, but now it is all I seem to think about. Our final presentations required collaboration, and at first I was really nervous, unsure how it was all going to work, but we ended up having a lot of fun coming up with both original music and choreography. It made me look forward to my own music endeavors in the future, and to the possibility of getting to work with Kaufman students again. On the plane on my way to Paris, we were told to read about phantasmagoria, a fancy word for “dreamlike state.” At the time, the concept was confusing; I didn’t understand it all too well. However, throughout the course of my time in Paris I began to experience it for myself. Our three weeks in France were so real, but I also felt like I was in a daze. I walked the streets, almost in disbelief that I was in such a beautiful city, getting to learn about such an interesting culture. I have always dreamed of visiting Paris, and my gratitude made me feel like I was floating on air, almost like I was in that dreamlike state. I have never fallen in love with a place like I fell in love with Paris. Like my advisor said, my trip was truly life changing. Paris will be a part of me for the rest of my life, and I was so fortunate to experience it with new peers that have become really great friends of mine. 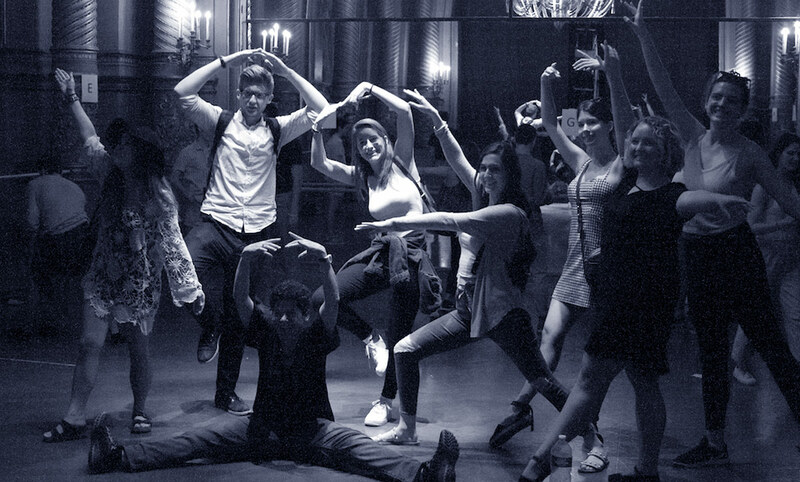 Click here to read a blog post by another Maymester participant, USC Kaufman School of Dance freshman Matthew Perko.